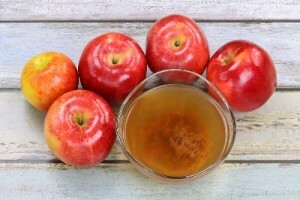 Many people tout the health benefits of apple cider vinegar. It promises to cure everything from from indigestion to warts. It’s said to provide antifungal and antibacterial properties as well as immune-boosting benefits. You can use apple cider vinegar both internally and topically for a variety of ailments. It helps to detoxify your body by cleansing your kidneys and remove toxins from your body by allowing your liver to function optimally. Aids Digestion – Apple cider vinegar is a fermented product so it promotes the healthy bacteria inside your intestines making you better able to digest your food. Lowers Blood Sugar – By taking a couple of teaspoons of apple cider vinegar before going to sleep at night diabetics show progress by lowering their resting blood sugar by 4 to 6 percent on average. Joint Pain – Reduces pain, stiffness and inflammation in joints which is a great help to those who suffer from arthritis. Acid Reflux and Heartburn – Many people think that since apple cider vinegar is so acidic it will only make their acid reflux worse. On the contrary it helps to strengthen the weak acid in your system that causes heartburn and acid reflux, thereby lowering or eliminating the occurrences of pain. Cold Symptoms – The antibacterial effects of using apple cider vinegar can reduce symptoms such as stuffy nose, sore throat and even sinus infections. Weight Loss – Proponents of apple cider vinegar swear by its weight loss effects. It reduces sugar cravings, increases metabolism, breaks down fat and acts as a natural diuretic to reduce water retention. Acne – Since apple cider vinegar has antibacterial and antifungal properties it proves to be an effective treatment for acne. You may use it as a facial toner followed by a moisturizer in the morning and evening to see improvements in your complexion. Soothes sunburns – Dampen a cotton ball or soft towel and apply to sunburned areas to relieve pain. Whitens teeth – Using apple cider vinegar as a gargle before brushing your teeth will remove stains and kill bacteria resulting in whiter teeth. Hair – Using apple cider as a final rinse will make your hair shiny and manageable. It can also reduce dandruff. Athletes Foot – You can cure athlete’s foot, fungus and odor by mixing half of a cup of apple cider vinegar in a basin full of warm water and soaking your feet for 30 minutes. Repeat as often as twice a day, if needed, so you will be odor free. Before you reach for that bottle of vinegar though, keep in mind that apple cider vinegar is highly acidic and should be taken with care. Long-term use can reduce bone density and lower potassium levels. In addition, it’s always a good idea to speak to your health care professional before using apple cider vinegar or any other supplement to treat any illness or injury.